One of the things my kids have never had is a countdown calendar with treats. There were times when we’ve made a paper chain to countdown to Christmas but that didn’t include treats. So, I decided to make one for them this year. They had a lot of fun with the balloon Valentines I made last year so I decided to go with that theme. For the balloon fillers, I had the perfect thing…Smarties! I received a package in the mail of various kinds of Smarties and I purchased some from Target as well. 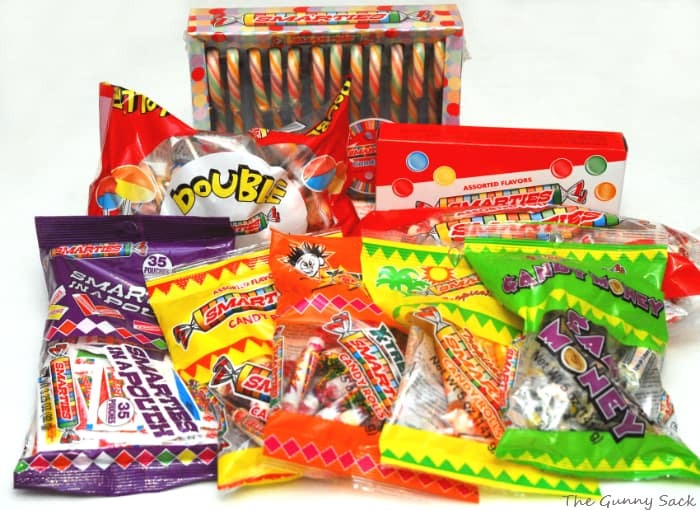 I ended up with Smarties Candy Canes, Smarties Double Lollies (my kid’s FAVORITE), Theater Box Smarties, original Smarties, Smarties In A Pouch, X-TREME Smarties, Tropical Smarties and Candy Money. 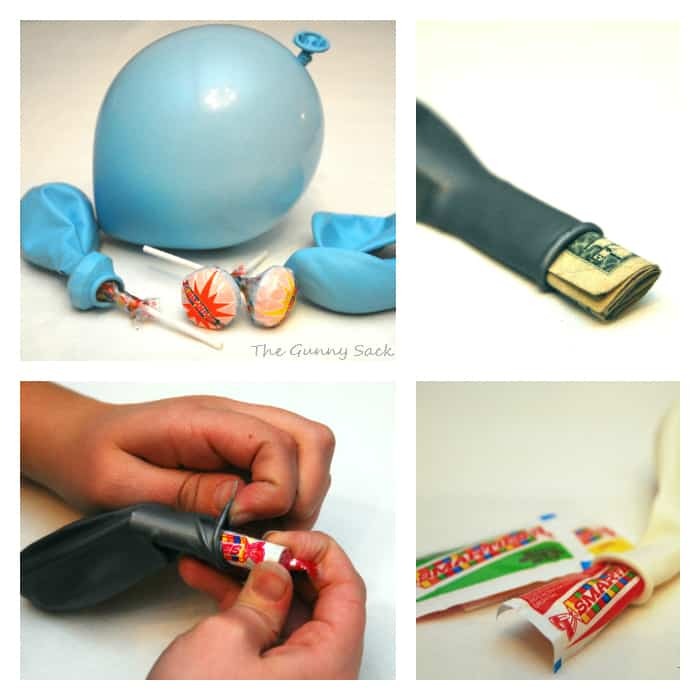 Smarties are perfect for these balloons because the shape of the rolls makes them easy to insert. Plus, Smarties are a worry free, one size fits all choice since they are inexpensive, gluten free, vegan, low calorie and free of top allergens. I began by decorating the frame to hold the balloons. 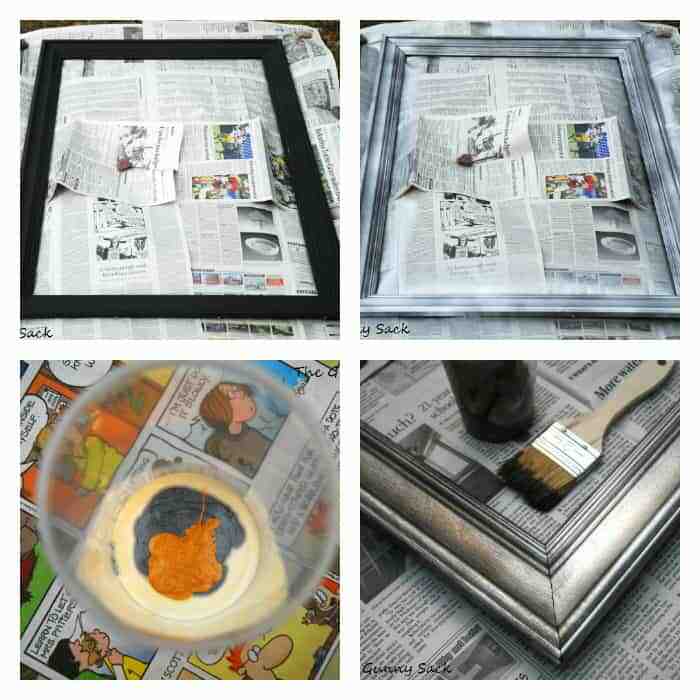 I started with a large black wooden frame that I lightly spray painted silver. When it dried it was looking too silver so I mixed together some antique glaze, silver paint, orange paint and a little water. Using a chip brush, I light brushed this over the silver surface. In the picture on the lower right, you can see how I’ve painted the left side but haven’t painted the right side yet. 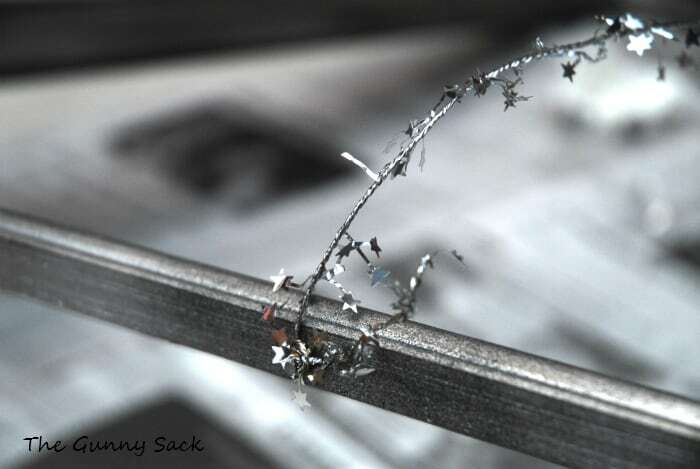 Once the paint was dry, I twisted this sparkly wire garland around small nails in the sides of the frame and stretched it across the frame to another small nail on the opposite side so that I had 3 lines of wire. Then, my daughters and my little sister stuffed the balloons with Smarties and money. They even got the Smarties Double Lollies and Smarties Candy Canes to fit into the balloons! We used all the different varieties of Smarties to fill the balloons so that the kids will get different kinds on different days. Other small items could be added to some of the balloons such as small notes or coupons, lip balm or anything that is small enough for the balloons to stretch over. 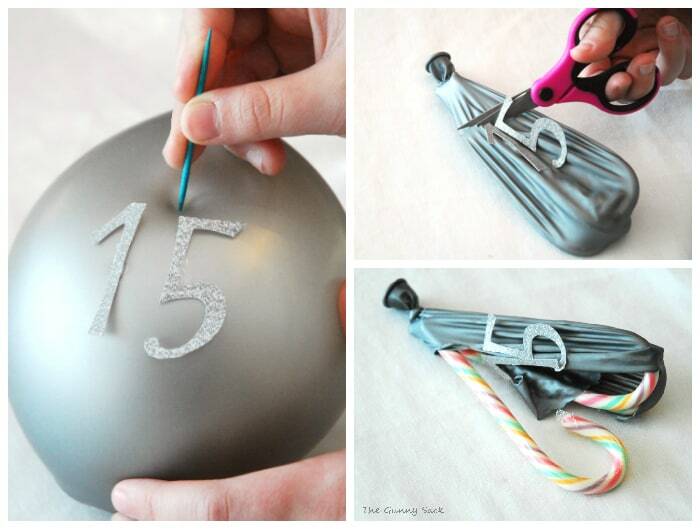 Once the candy or toy is in the balloon, blow it up with air and tie it shut. 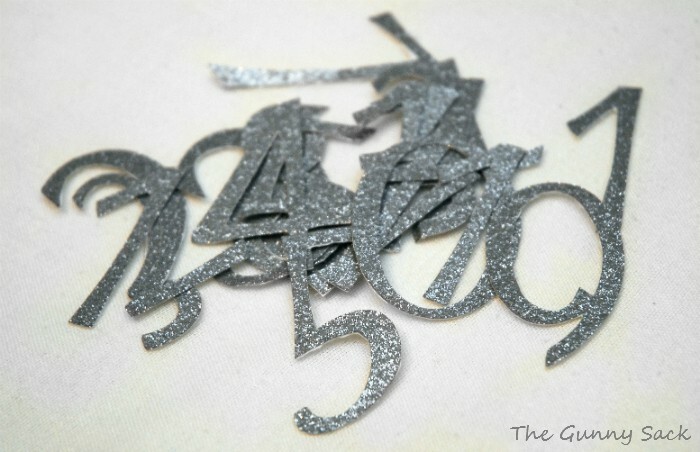 Next, I used my Cricut to cut out some sparkly numbers 1-15. 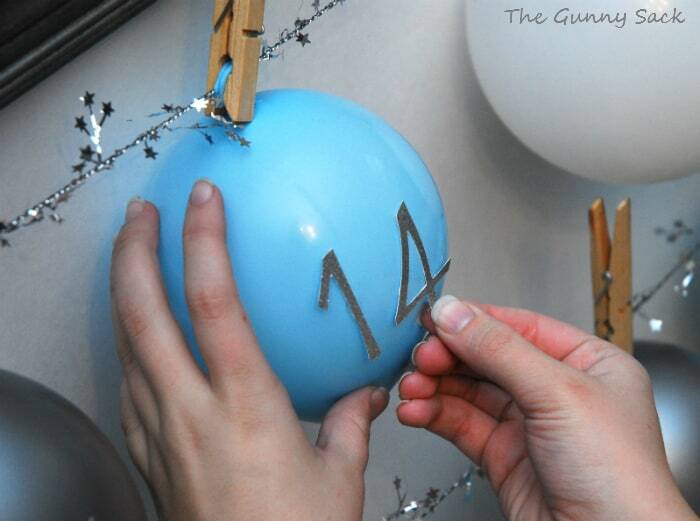 Clip the small balloons to the wires with clothes pins. 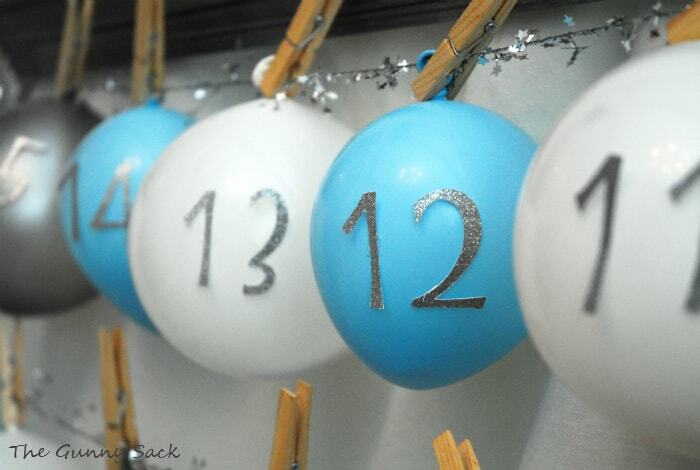 Then, stick the numbers on the balloons with adhesive dots. Some of these balloons ended up pretty small. The bigger the balloon, the bigger the pop will be when they are broken open! Each day leading up to Christmas, pop open one balloon for a Smarties surprise! The balloon for 15 days until Christmas had three Smarties candy canes in it. My kids are going to take turns popping the balloons each day. This balloon didn’t burst completely open so Vanessa just cut it open the rest of the way with a pair of scissors. Want to win a Smarties package to make your own countdown calendar or to use for stocking stuffers? 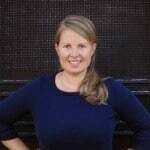 I love your ideas the site is awesome. I am dong a Lollipop Party in May if you can help me with some idea.s Thanking you in advance. I absolutely am in love with the color combo you went with! 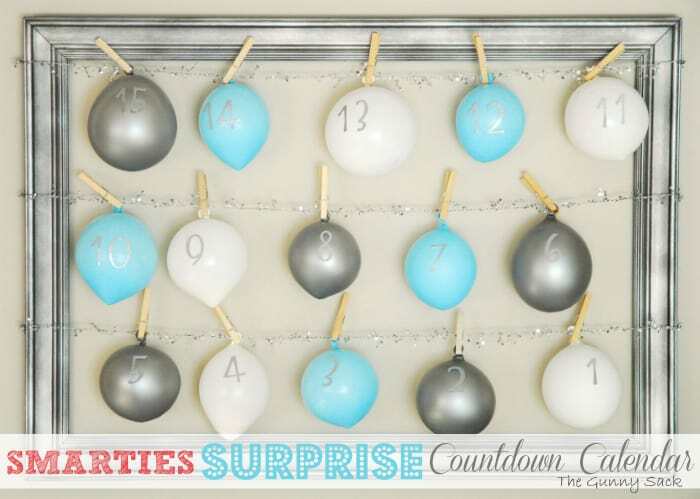 This would also make for a good New Year’s Eve decor with the countdown! Such a great idea Tonia. We have Smarties here but they’re the same as your M&M’s. Thanks Anne! Isn’t that funny? I’m sure we would love your Smarties as well! Thanks Cathy! My kids are having fun! So far they’ve gotten the Smartie Candy Canes, Smartie Double Lollies and today was the Smartie Pouches. Love your calendar. Such a great idea, and the colours you used are wonderful! Thanks! It was fun to make and my kids are having fun with it every day! Thanks Amy! 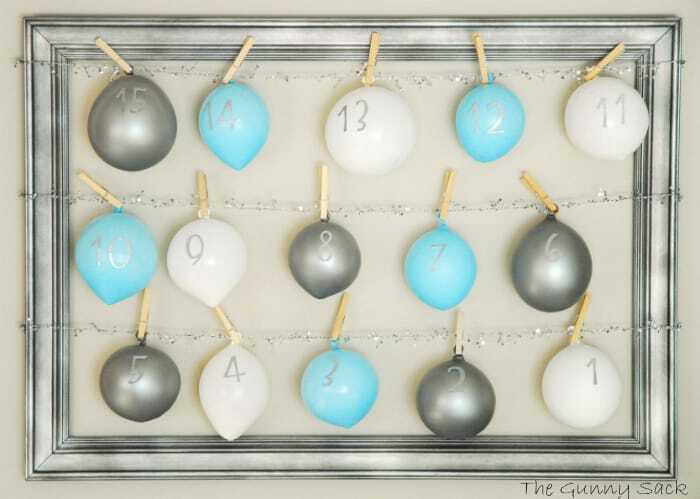 I am trying to go with white, silver and light blue this year but I’ve been embarrassingly slow at getting things decorated! I love this! 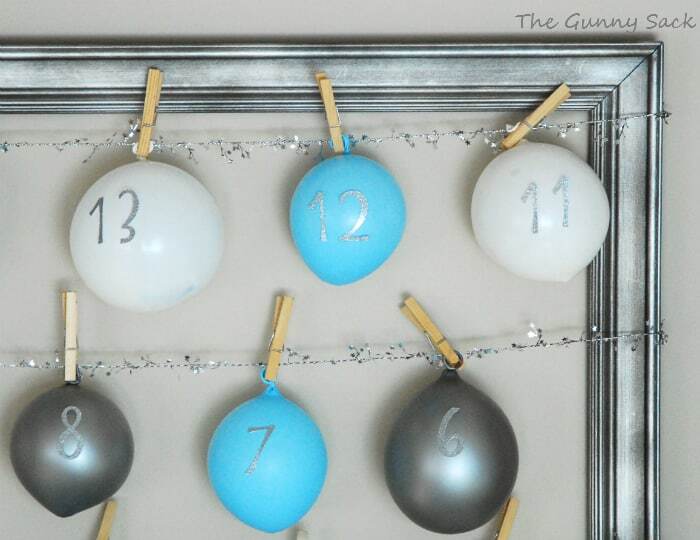 What an adorable approach to an advent calendar. You always have amazing and beautiful looking ideas…can’t wait to try this!